Laser sintering technology enables medical technology designers to print plastic objects for feasibility studies within a very short time. 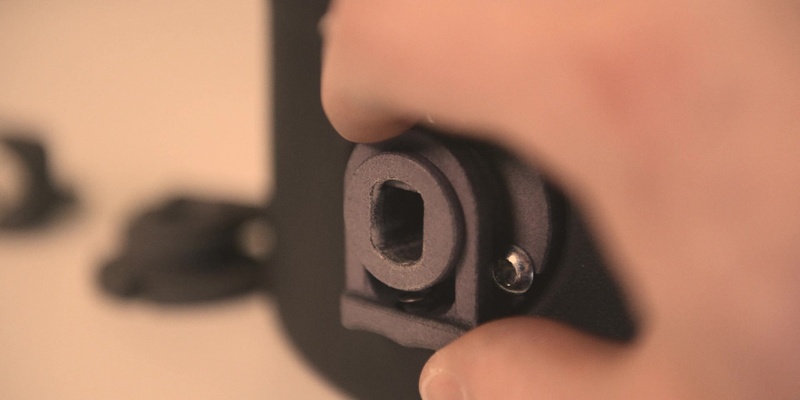 The functional prototypes largely have the same properties as injection-moulded parts. 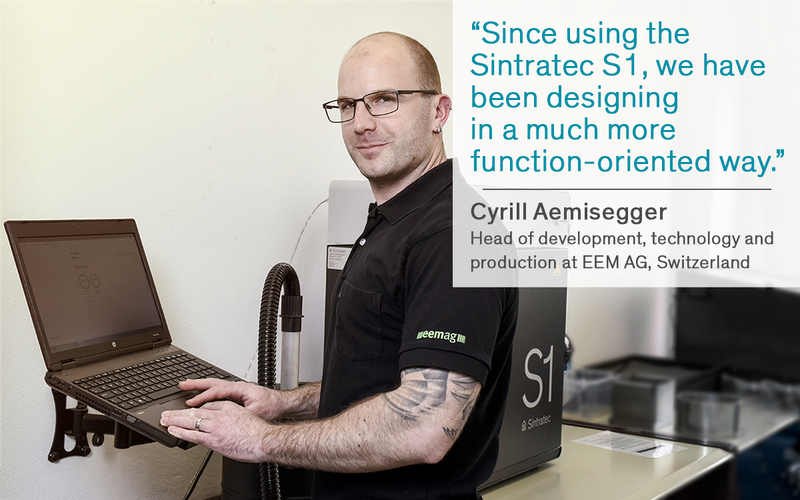 EEM AG goes one step further: It manages a balancing act between the production of prototypes and small series. 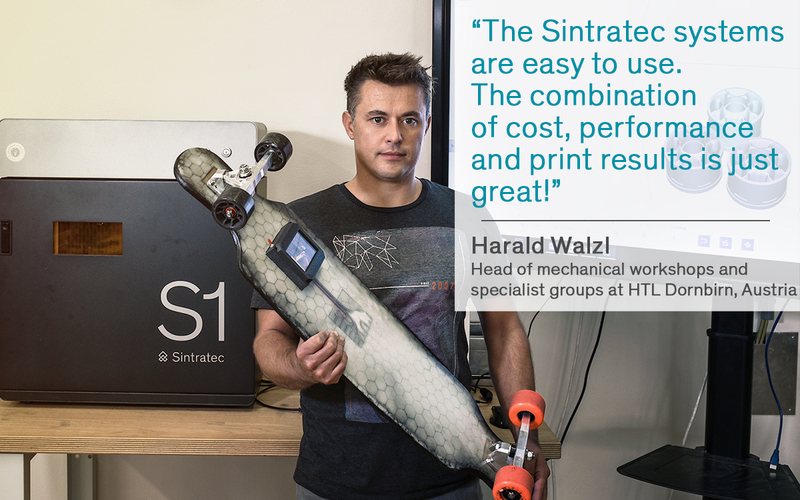 The HTL Dornbirn places importance on modern additive manufacturing methods not only in terms of understanding but also of applying. 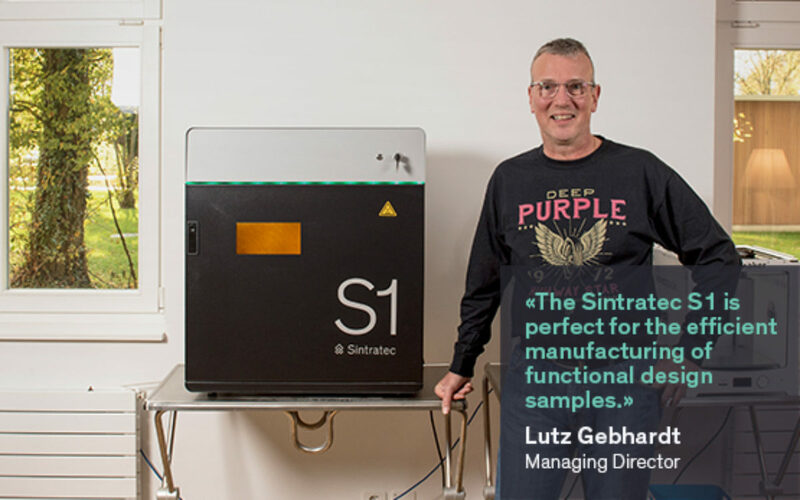 In order that the students are ready for their career start and technologically up to date, the Austrian vocational school uses Sintratec technology. 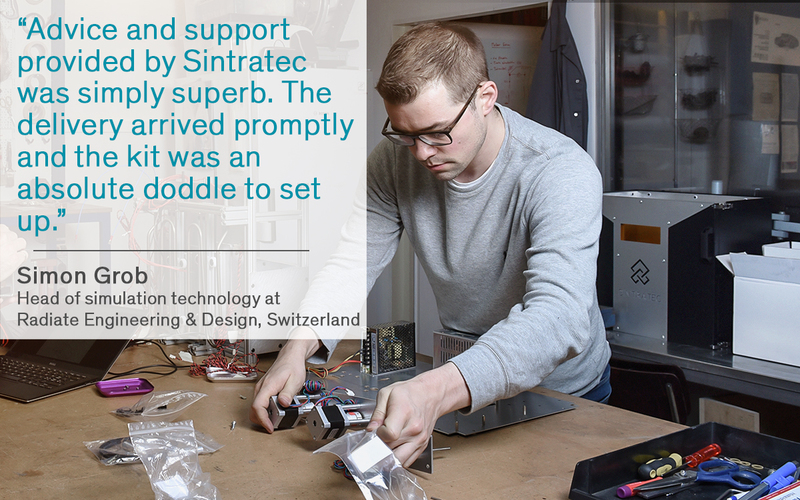 Radiate Engineering & Design GmbH, a start-up, is a composites development service provider which helps companies from the medical technology, sports and leisure, and aviation industries to optimize their value creation and supply chains. The service focuses on the development and implementation of market-ready disruptive solutions in the field of fiber composites. 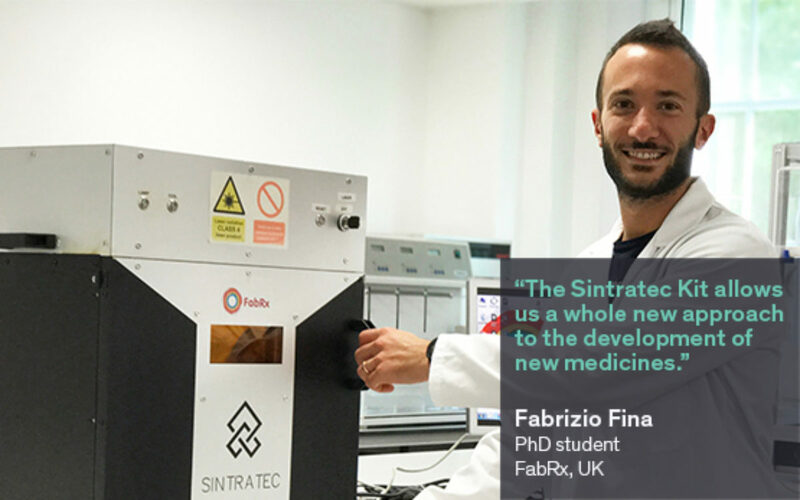 FabRx is a spin-out company from the University College London (UCL) leading the development of 3D printing for fabricating medicines. 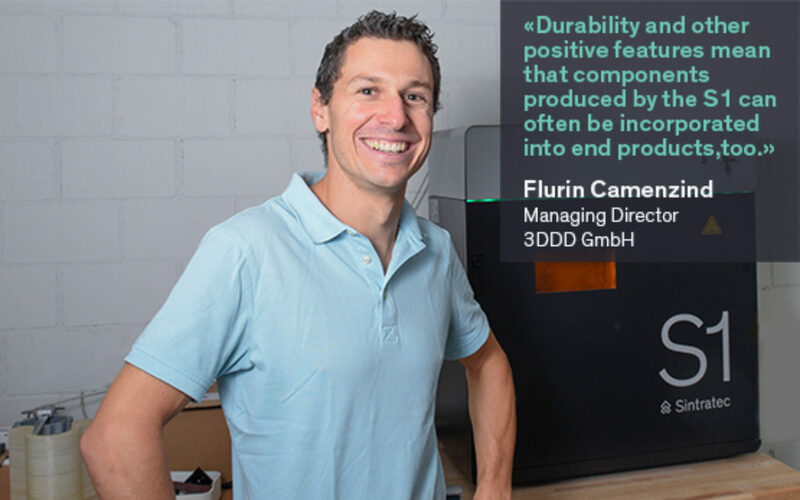 Our company employs different 3D printing technologies such as FDM, SLA and SLS to manufacture Printlets™ (3D printed tablets) with a wide range of pharmaceutical excipients. 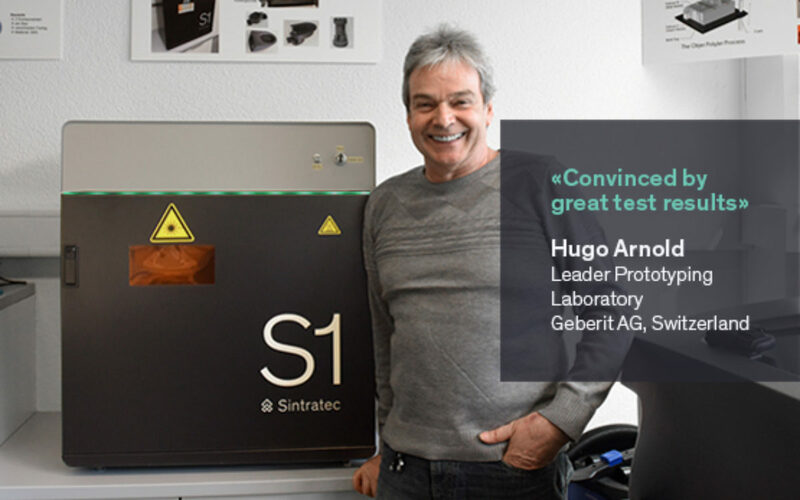 At Geberit we do not only use a wide range of 3D printers but have been doing so for many years. Our main application is the production of functional prototypes. Since most of our products come in contact with water, it is important that they are watertight but also can sustain strong water pressure. As industrial designers, we at VIEWSDESIGN need high-quality models to test our visions for their feasibility. The manufacturing of these models by conventional, mechanical methods is expensive and above all, time-consuming. Nowadays, for us to take this extra time is no longer an option due to ever faster innovation cycles. We are a young start-up company with the aim of developing a 3D printer for large components at an attractive price. In addition we offer a 3D printing service and engineering services. 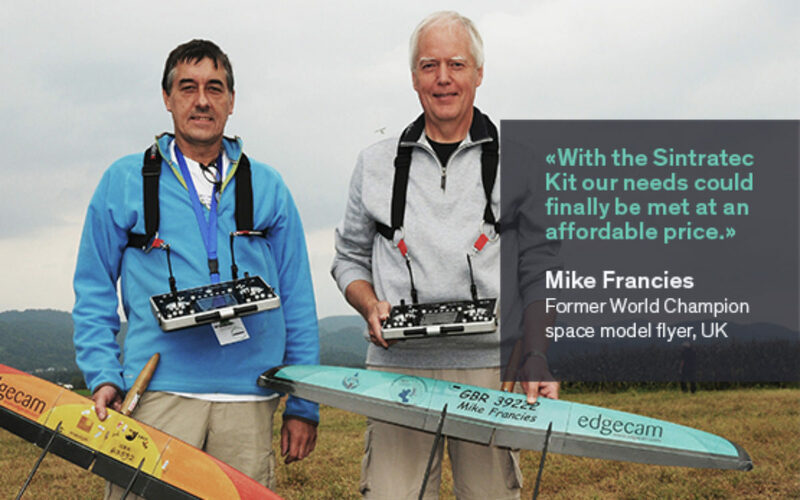 The UK Spacemodelling Team is a small group of enthusiasts from all over the UK who participate at World Championship level under rules governed by the FAI (Federation Aeronautic International). We here at Paul Scherrer Institute (PSI) in Switzerland are not only working on large-scale projects but enabling small and medium sized business to do world class scientific research. 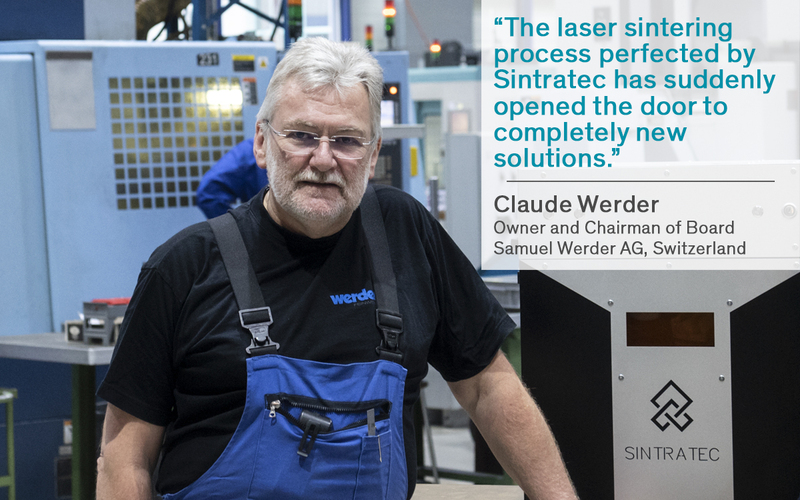 In the Swiss additive manufacturing start-up Sintratec we have found a business partner to demonstrate the drastic improvements that can be made with access to the PSI’s cutting-edge equipment and brilliant researchers.